Enigmatic producer, DJ and label boss Zepherin Saint produces a slightly more futuristic version of Soulful House, in which he emphasizes the tension that soul music can have, rather than the release. His tracks and particularly his dubs, are often full of suspense and atmosphere – check his ‘Take You There’ on Suol, or his ‘Skyy Dub’ on his own Tribe label for a good example of his approach. Tribe had a good year all round and Zepherin’s sublime vocal track ‘Butterflies’ with Miranda Nicole particularly stood out, as did the eight and a half minute dreamy dub. Zepherin also turned in a brassy re-rub of Rhemi feat. Shezar’s ‘We’ve Had Enough’ on Rhemi Music which is well worth checking out. 2018 was a great year for classically trained producer, DJ and label owner Paris Cesvette. She put out a big album ‘Celestial’ on Groove Odyssey featuring 12 true-House vocal cuts. Will Downing, Omar, Ian Friday, Mike City and Josh Milan were among the featured vocalists and the album ended up #8 in our Top 100 Albums of 2018. Groove Odyssey also put out the gorgeous ‘Sacred’ from Paris, Josh Milan and Luis ‘Loowee R’ Rivera. Paris also launched her new label OPOM (Our People Our Music) with the deeply soul-filled ‘No Rhyme No Reason’ (with Luis ‘Loowee R’ Rivera, Walter Christopher and Jack ‘The Sax’ Davies) and along with Luis she also produced an extremely playable jazzy remix of Groove Junkie’s ‘My Truth’. Production highlight of the year for US DJ Pope has to be his big ‘Soul Underground 2018’ with DJ Oji, a sophisticated concoction of gorgeous vocals and soul drums, complimented perfectly by fluid live flute work from Nicolas Laget aka Kolai. Released on their POJI Records, this was the first time the pair had produced together for ten years and the results were stunning. DJ Pope also put out quality material with vocalist Marc Evans in the shape of their take on the Philly soul classic ‘You’ll Never Find Another Love Like Mine’ and his retro ‘Do You Remember’ on Nervous. 2018 saw multi-instrumentalist, composer and producer Michele Chiavarini teaming up with Soulful House Don DJ Spen. Their collaborations were fruitful, producing a number of highly polished, carefully put together remixes. Notable tracks included their head-nodding take on David Morales’ ‘Believe’ (DIRIDIM) and the low slung confidence of their ‘You’ from Leedia remix on London’s Groove Odyssey. The pair also teamed up to remix ‘Diamond’, a strong song from Rhemi featuring soaring vocals from Hanlei and they also provided Quantize with their funk-filled ‘Everybody (On The Dancefloor)’. Chicago’s Stacy Kidd is the consummate DJ/Producer/Label Manager. 2018 saw him release some great Soulful tracks, including his old skool take on Colonel Abrams 80s soul classic ‘Trapped’, a serious collaboration with DJ Spen feat Tasha LaRae ‘Heaven’ (Quantize Recordings) and his frankly superb funk-filled mix of ‘Donnie’ by Chip-E & The It. Stacy also released his Remixes album, twenty five smooth, organic, deep and soul-filled tracks featuring vocals from Aretha Franklin, Ronnie Canada, Tracy Hamlin and more. From the album, Stacy’s House 4 Life remix of ‘Get Up Out Your Seat’ with Peven Everett did particularly well for him. Known more for his Nu Disco and Soul/Funk/Disco re-edits and remixes, 2018 saw Dr Packer chart on the Soulful House scene too, with four of his signature-style reworks in the Top Soulful House Singles of 2018. All four were taken from his big Glitterbox album ‘Different Strokes’: Pete Heller’s UK House classic ‘Big Love’, Cleptomaniacs feat. Bryan Chambers ‘All I Do’, Johnny Corporate’s Sunday Shoutin’ and his re-work of Soulsearcher’s iconic ‘I Can’t Get Enough’. All showcased Dr Packer’s sophisticated approach to re-editing and re-working older material. He also was commissioned to update Candi Staton’s gospel anthem ‘Hallelujah Anyway’ for Glitterbox and turned in a rework that made a substantial impact on the Soulful scene. This year DJ Beloved provided us with a brand new 24 track full-length album, ‘Hopeless Romantic’ on Quantize, a collection of Soulful House tracks taking in Afro, Soul, R’n’B and Latin elements. Album highlights included Beloved’s dance floor reinterpretation of Bobby Caldwell’s soul classic ‘What You Won’t Do’ and Sheree Hicks weightless vocal on ‘L.O.V.E. U.’ Beloved also released a confident, jazzy remix of DJ Fudge & Hallex M’s 2014 ‘Ding Ding’ for Makin Moves and a sterling collab-remix with Reggie Steel of Wipe The Needle’s melancholic ‘Kissing You’. This last year has been a good one for Soulstice label boss, DJ and producer Mark Di Meo. All year Soulstice were a reliable source of serious Soulful House: sparkling productions, carefully crafted songs and impeccable production. From a busy release schedule, Richard Earnshaw’s mix of ‘10k High’ was a particular winner, and Mark’s Jazz Mix of ‘Already Over’ from Walter G showcased some serious studio chops and musicianship. Mark also put out material on other labels too, with his Groove Junkie’s ‘Inside My Soul’ remix creating serious dancefloor heat. 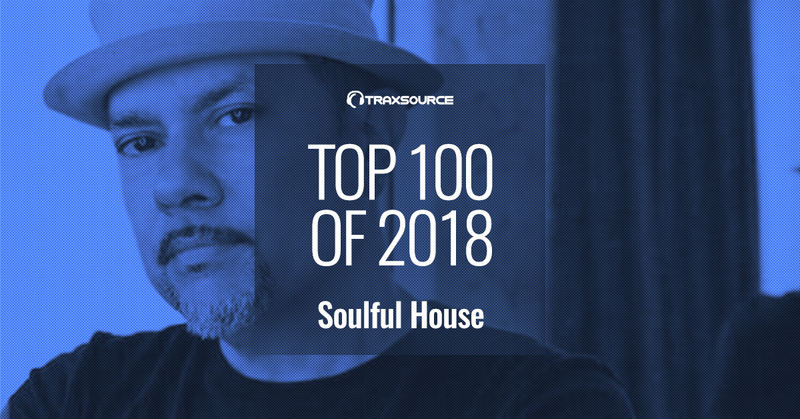 San Francisco’s David Harness gifted us with plenty of Soulful goodness this year, kicking off with his Moulton Music album ‘Friends In Harmony’ which reached #15 in the Top Soulful House chart of 2018. The party-friendly Barry White sampling ‘We Got It’ was a strong release from the album and 2012 collaboration entered the chart from a viral video. Recorded with Lady Alma, The Rainmakers, Cecil and Chris Lum, ‘Let It Fall’ was a beautiful song that got a well-deserved second lease of life. Sandy Rivera is a producer for whom quality matters over quantity. In the Soulful field, Sandy gifted us two Kings Of Tomorrow treasures this year. The simple, emotive piano chords and soul-filled voice of Kandace Springs singing ‘Faded’(Defected) and April Morgan’s melancholy ‘How I Feel’ (deepvisionz). Both are the kind of records that will still be played in years to come; Timeless music from a class act. DJ, producer, remixer, music historian, DJ Spinna is an artist with a well-respected history who had another successful year in the biz. Whether it was adding jazzy chords and a space-age sheen to Trevor Lamont’s ‘Tiptoe’ on Local Talk, or transporting Joseph Junior and MAQman’s ‘Everything Changes’ to the future, DJ Spinna continued to innovate in 2018. His Galactic Soul remix of ‘Another World’ from Darkhouse Family explored similarly cosmic territory, pushing the boundaries of Soulful House and developing the sound. DJ Spinna also put out the ‘Tonight We Ride’ package on Foliage featuring his stylish, percussive vocal mix. Micky More & Andy Tee produce Soulful, Nu Disco & House and had success & chart placings in all those genres in 2018. From their Soulful catalogue, ‘Special Love (Part 1) with its serious orchestration did particularly well for the pair & their remix of Right To Life’s ‘Strong Enough’ successfully married Soulful vibes with disco strings (both on their Groove Culture label). Micky & Andy also tackled a House Classic from the early 90s, Jestofunk’s ‘I’m Gonna Love You’ & conjured up a sax-laden, bumpin’ floor-filler. Producer and DJ Groove Assassin released a host of hot Soulful tracks this year and picked up plenty of DJ attention in the process. His Things May Change! label was home to his memorable vocal track ‘Thinkin’ Bout U’ and he also released on Hard Times, putting out ‘Come Together with some memorable vocals from Robert Owens. On the remix front GA took his groove-based approach and applied it to Stones & Bones’ ‘Rhythm Of The Night’ (FOMP), X Gets The Crest’s ‘Do Me So Bad’ (Delve Deeper) and Crackazat’s ‘Sundial’ for Local Talk Records, giving it an organ-filled 90s House feel. 2018 was a busy year for Richard who put out a number of superb original projects and remixes under his Spiritchaser co-alias as well as Richard Earnshaw. Richard’s Extended ReVibe of ‘Race Of Survival’ was reminiscent of some of Ten City’s best moments, and he put in equally sterling work in his ‘Dimensions (I’m Happy)’ remix, both for Seamus Haji. Richard’s chugging, precision-programmed remix of ‘This Is Love’ from MKM feat. Liz Jai did well for him this year, and we were also impressed with vocal mixes of Mark Di Meo and Jocelyn Mathieu’s ‘10k High’, and with his subtle production touches on the remix of ‘This Time Baby’ from Dave Anthony and Lisa Millett, (on Soulstice and Quantize respectively). With more soulful releases on labels like Soul House, Soul Deluxe, King Street, Duff Note, Papa and more, Richard clearly had an extremely productive 2018. Opolopo is a producer whose work stretches across a few genres and who produced a lot of great Disco tracks this year, but he made some notable Soulful tracks too. His Afro-Tinged remix of ‘WE RISE’ from Groove Junkies / Solara was really big when it dropped in March, but even bigger was Opolopo’s sparkling rework of ‘Heat’ by Rapsom feat. Nathan Thomas, which was the #1 Soulful House track of 2018. UK producer Sean McCabe and his Good Vibrations label had a strong 2018. His ‘I Wonder’ with Nathan Adams and ‘Now Is The Time’ with vocals from Hanlei both came out on Good Vibrations and picked up some heavy DJ rotation. Also strong from Sean this year was his remix of ‘Love Yourself’ from Nathan Adams feat. some deep vocals from the aptly named Sabrina Joy on Tribe Records. His driving remixes of ‘Little Bit’ by Detroit Rising on Z Records sat comfortably in the Soulful/Disco intersection and featured some serious playing from the featured musicians. Another stand out track for Sean in 2018 was his ‘Rocket Love’ project with legendary Mood II Swing producer Lem Springsteen, which showcased the soul-fired vocals of Dannis Winston. A much sought after DJ and industry veteran, Terry Hunter can be counted on to deliver the Soulful goods year in year out and 2018 was no exception. His label T’s Box put out a number of notable releases from Terry this year including his smooth cover of Marvin Gaye’s ‘Distant Lover’ featuring some sweet soul vocals from Terisa Griffin. T’s Box was also home to Terry’s productions with Jocelyn Brown and Inya Day’s ‘Move Of The Spirit’ and ‘I Found Lovin’ from Greg Winfield, both of which hit hard on the more Soulful dance floors this year. We were also particularly taken with Terry’s remixes of Dave Anthony feat. Sheree Hicks, the emotive ‘Let Love In’. US DJ and producer Reelsoul’s 2018 went very well indeed, with his original track ‘2morrow’ on his label Reelsoul Muzik #8 soulful house track of the year. Reelsoul Muzik put out a clutch of quality soulful releases from Reelsoul himself including his unit-shifting ‘Muzik 2018’. Reelsoul also teamed up with DJ Spen this year on remixes for Ann Nesby on EmKayBe’s ‘Jam’ and The Joi-Fuhl featuring Shezar’s ‘Don’t You Worry’. He and Spen also collaborated on their fire original ‘All I Need’. In what was clearly a busy year, Reelsoul also turned in plenty of deadly DJ weaponry with remixes for Makin Moves, More House and Quantize. Last year’s #1 Soulful House Artist DJ Spen had another superb year, his productions, remixes and label absolutely ruling the Soulful House Charts. The industry veteran simply churned out the quality Soulful house gems all year. In April, his Quantize label put out the massive ‘I Need Your Lovin’, a collab with Gary Hudgins featuring some lush vocals from Tasha Larae. Quantize was also the home to Spen’s big remix of UK soul artist S.E.L.’s ‘You Gotta Be’. Together with Reelsoul, Spen remixed ‘Don’t You Worry’ from Joi-Fuhl into a piano-led stormer, and took us all to church with his heavy-duty re-rub of Booman’s ‘God’s Got It’ which dropped on sister label unquantize. DJ Spen also turned in serious remixes for David Morales, Jasper Street Co. and dropped joints on Nitegrooves, Soulfuric, Nervous, DIRIDIM, King Street and more. And straight in with a bullet at the #1 spot, it’s the hardest working man in House Music, Mr Louie Vega. 2018 was another amazing year for one of the scene’s elder statesmen, his work rate and quality level setting a bar for everyone else to try and reach. 2018 saw the release of Louie’s album ‘NYC Disco’ which was a big success across a number of genres and contained 3 big Soulful cuts. Standouts from the album included the velvet tones of much-missed Luther Vandross on ‘Get Myself Together’ and the dance floor demolishing jazz-gospel of ‘He Promised Me’ from BeBe Winans, both massive tracks for Louie this year. He also assembled a vocal dream team of Rochelle Fleming and Barbara Tucker for an anthemic cover of Stevie Wonder’s ‘Love Having You Around’. On the remix front, Louie retooled DJ Spinna feat. Phonte’s ‘Tonight We Ride’ on Foliage into a classy, percussion-laden workout, and his remix of ‘I Wonder’ from Nathan Adams feat. Sean McCabe (released on Good Vibrations) was a near-perfect example of the current Soulful sound. Classic Music Company was the home for Louie’s killer re-rub of Luke Solomon feat. Queen Rose and Amy Douglas’ ‘Light You Up’ which gave the original a new layer of sheen and additional synth licks to great effect. We also loved the stripped-down MAW take on ‘I Am House’ from Crystal Waters on Dopewax too. Louie’s Vega imprint put out plenty of great quality product in 2018, including Louie’s sophisticated collaboration with vocalist and songwriter Toni C ‘Time Don’t Wait’. And from a number of hot solo releases this year, Louie’s’ Music and Life’ with spouse Anané Vega stood out as a track that will still be getting DJ plays many months down the line. Supplier of the finest dancefloor grooves and inspiration to artists and producers everywhere, another amazing year for Louie Vega, which means another year of amazing music for us.